Air conditioning - installation, maintenance and repair. Commercial, industrial and domestic. 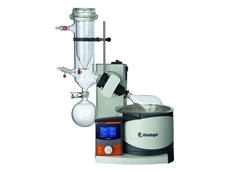 25/01/10 - The new generation of Heidolph Hei-VAP series of rotary evaporators, now available from John Morris Scientific, gently and efficiently remove solvents from samples by using evaporative systems.